Malaysia is preparing for General Elections, which are to be held by August 2018. Any day now, Prime Minister Najib Razak is expected to dissolve the parliament and announce the date of the electoral vote. Running for a second time for the prime minister position, Najib Razak faces Mahatir Mohamad, the 92-year-old former prime minister and now leader of the opposition. Barisan Nasional, the ruling party and the longest ruling coalition in the world, needs to attract more votes in order to maintain its majority in the parliament, a difficult task in the current Malaysian context of rising living costs and ongoing corruption scandals. Last week, the government passed a controversial bill meant to redraw the electoral constituency borders and discussed adopting a law to curb the dissemination of “fake news” in mainstream and social media. The long-disputed intention of redrawing the constituency borders became a reality, approved by the parliament in record time, after the Court of Appeal ruled in December 2017 that the Election Commission can proceed with the redelineation process. 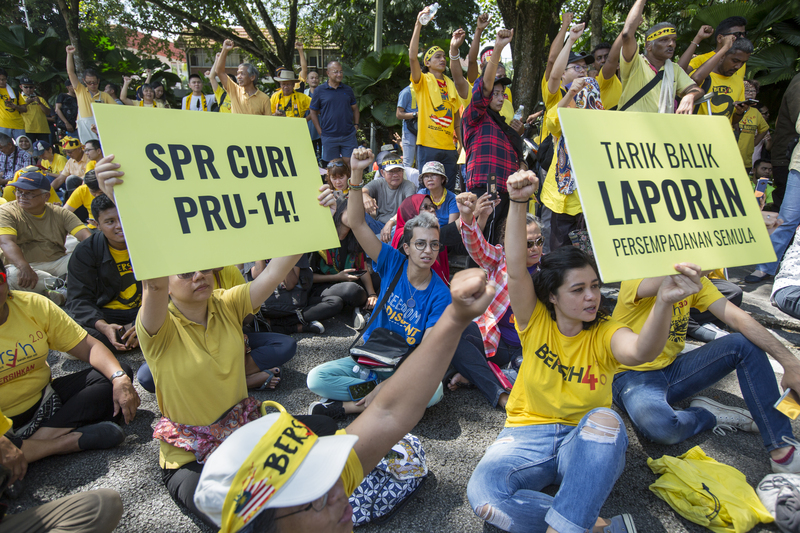 Representatives of the opposition and civil society accuse Najib’s government of gerrymandering by packing opposition supporters in bigger constituencies and Muslim Malays, most of them BN supporters, in smaller constituencies. The procedure will affect between a third and half of the 222 parliamentary seats. The second law proposed last week awaits approval by parliament in the following days. It incriminates the publication of “fake news” on a diverse range of platforms, from media to social media in and outside Malaysia. “This is a clear sign of desperation. They want this law to prevent further public discussion and criticism of the 1MDB scandal and other corruption scandals and wrongdoings of the BN. In pushing through the anti-fake news bill, the BN are clearly targeting the youth, who will become the main victims of this law,” opposition leader Anwar Ibrahim said in a press statement following the events. The proposed measure, stating that offenders would be imprisoned for up to six years, raised concerns among human rights groups about freedom of expression in the country, which already has sedition laws in place. 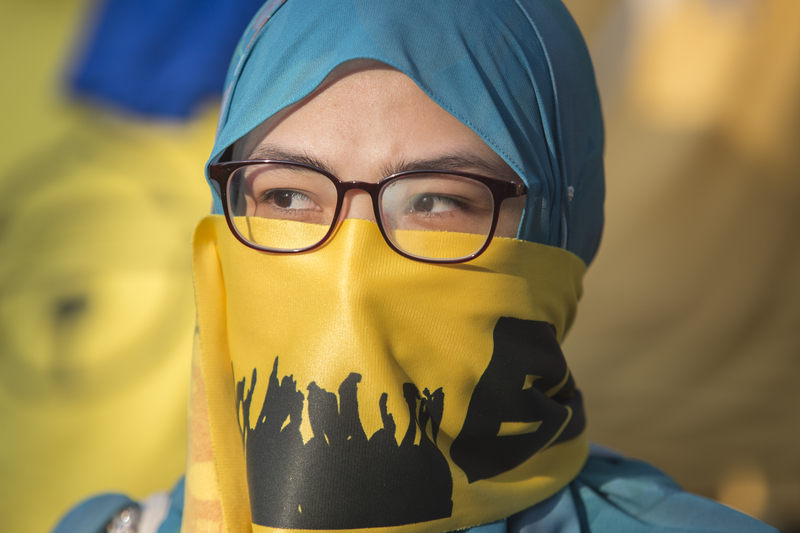 “The bill greatly expands the already broad set of laws in Malaysia, such as for criminal defamation, that penalize peaceful speech and create a climate of self-censorship and fear. The bill does not establish standards for determining what is false and does not distinguish between malicious falsehoods and simple errors on the part of a journalist or social media commentator,” said a report from Human Rights Watch issued on March 29. De facto law minister Azalina Othman Said, who introduced the bill, said it would not restrict people’s freedom of speech, but stop the spread of fake news. “The Bill is to act as a deterrent to send a clear message to each individual to be responsible in sharing information that is true and right,” she said in a press statement. 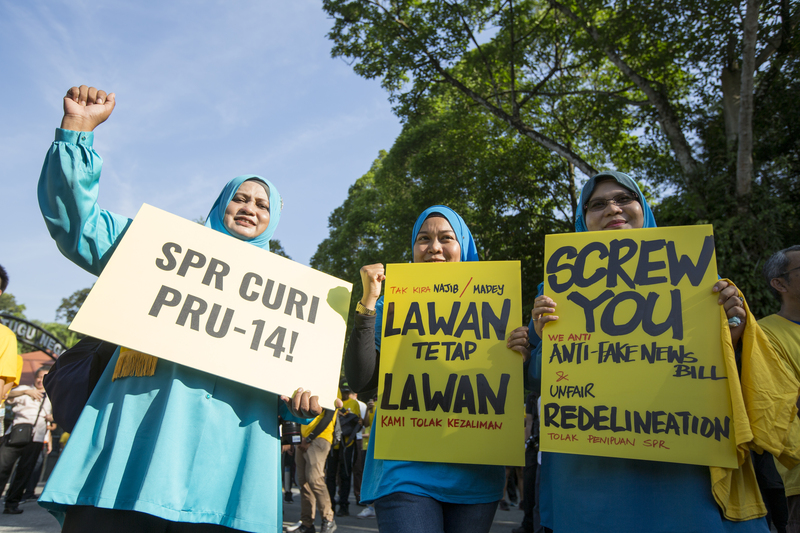 Update: The “fake news” bill passed the Malaysian parliament on April 2, sparking more outrage from civil society. Gerrymandering and media censorship are not new to Malaysia. In 2013, BN received 47 percent of the popular vote but managed to maintain a 60 percent majority in parliament. Even with the opposition’s strong concerns and civic calls to action, recent polls show Najib and the current governing party winning the upcoming election. Alexandra Radu is a photojournalist based in Kuala Lumpur. Her portfolio is available here. 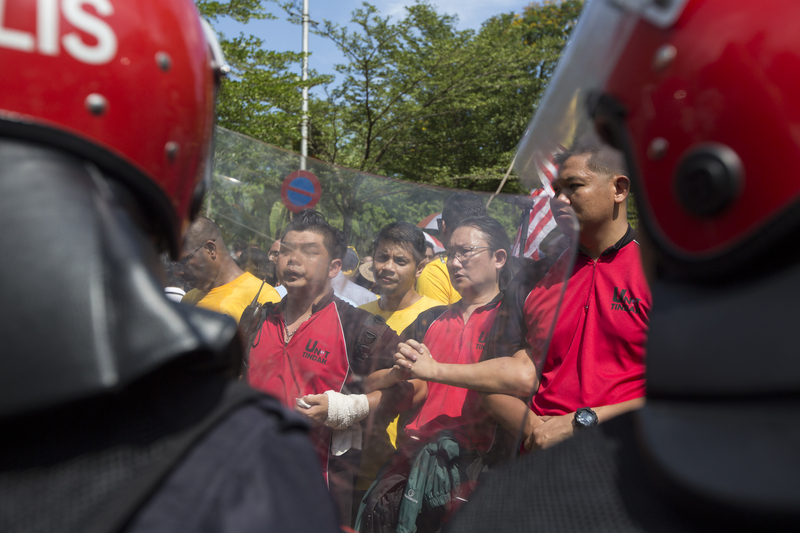 Around 200 protesters, opposition supporters, and civil society representatives marched through central Kuala Lumpur to the parliament building to hand in a memorandum against the redrawing of the constituency borders. 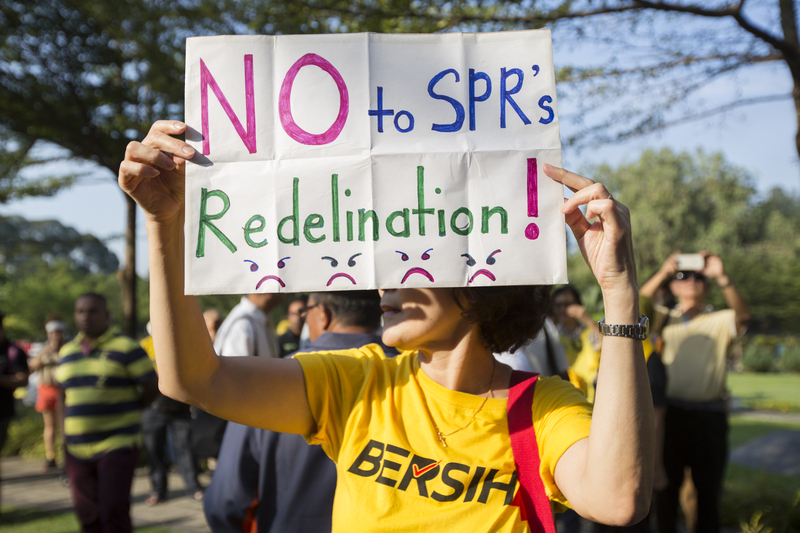 The redelineation would affect between a third and half of the parliamentary seats, prompting accusations of gerrymandering from the opposition and civil society. 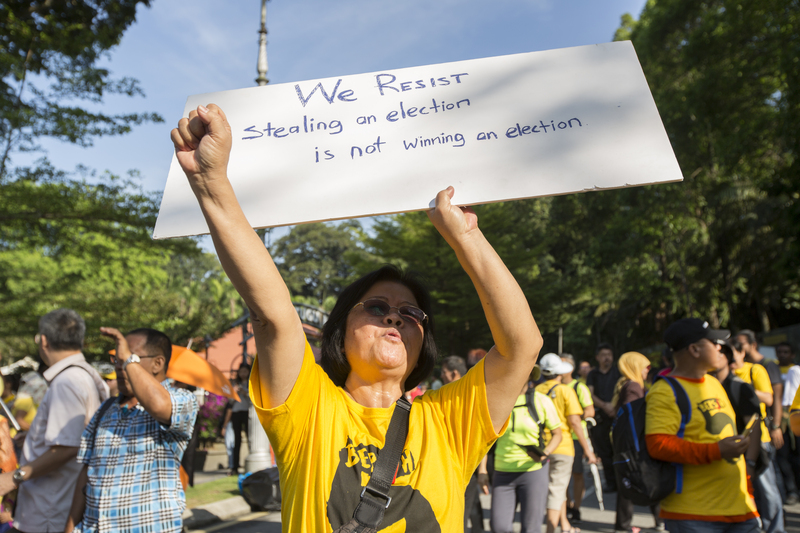 Malaysian protesters hold banners accusing the Electoral Commission of stealing the 14th General Elections and criticizing redelineation and the “fake news” bill. 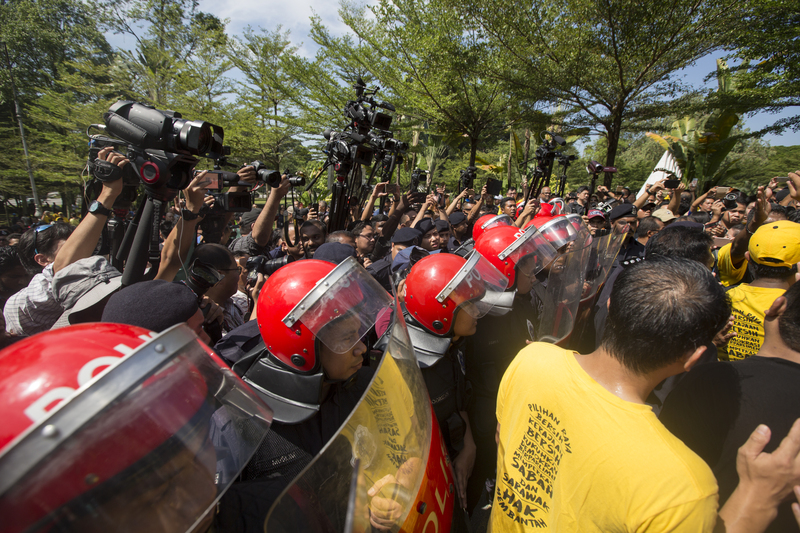 Members of the Malaysian Royal Police line up to stop protesters from marching as a group toward the parliament. Only a few representatives of the opposition and civil society were allowed to enter the parliament building and hand in the memorandum. A protester holds a banner demanding fair elections while marching toward the parliament building. 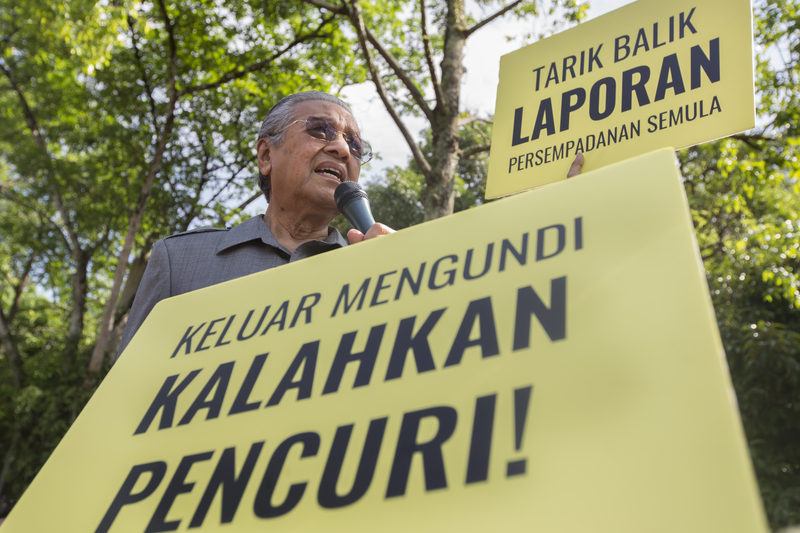 Mahathir Mohamad, the opposition leader and candidate for the PM position in the upcoming elections, speaks during the protest, encouraging Malaysians to stand up for democracy. “This country is now a kleptocracy country and they will oppress the people in whatever way possible,” said the former prime minister. Protesters from a cordon in an attempt to march as a group toward the parliament. Protesters sit in front of the parliament building entrance, demanding transparent elections. 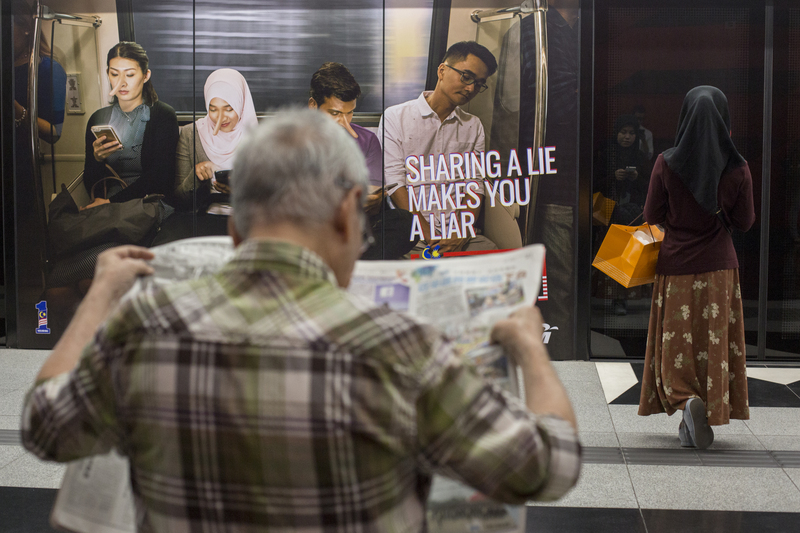 A poster advertising against “fake news” can be seen in a commuter train station in Kuala Lumpur. The poster is part of a government campaign meant to educate the Malaysian public about the dangers of sharing “fake news” on social media.